It’s pretty much the standard car guy love affair. It happens to a lot of guys, Grunge included. Here’s Ray talking about his Porsche back in its racing days at Wally at the Wheel. The house was packed. Yes there were a couple of seats up front – nobody sits in the front pew – but there was an overflow crowd in the back. 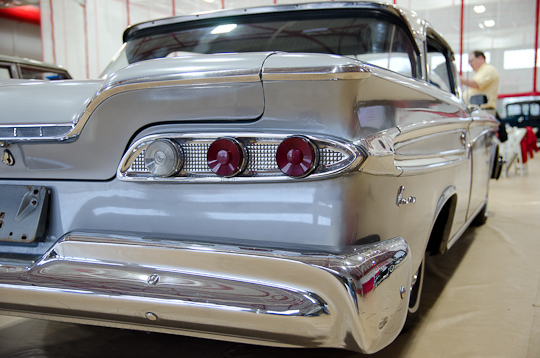 Ray literally rescued this car from a junk yard and spent years restoring it. It’s a beauty. The detail work is great - car is 61 years old! Steve Charles does a great job – you and I KNOW that. 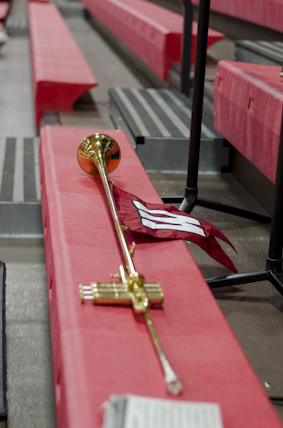 I’d put the Wabash Magazine up against any other at any time. 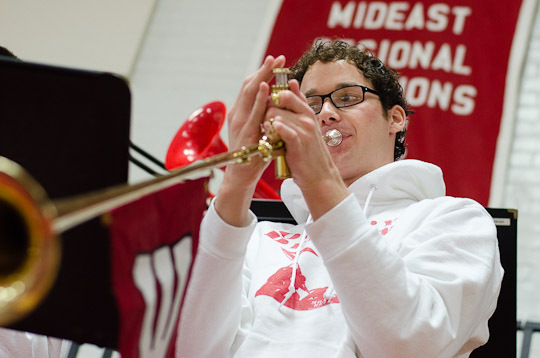 He’s a creative guy who really cares about what he does – the Wabash Magazine is a true labor of love for him. So, it was nice when I was greeted this AM with an email that mentioned a Facebook post by Steve’s sister, Kelley Poynter. Kelley’s post made an otherwise #$%^&*& morning much, much better. Wally At The Wheel – WOW! 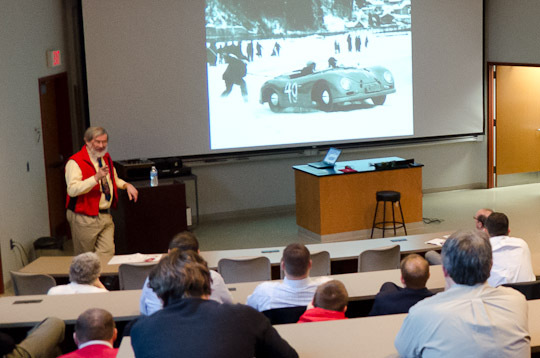 I thought the idea was a great one…the automobile and the liberal arts. Perfect. Faculty interest, alumni interest…PERFECT! At points in the process? An Asian area fire drill to be sure? It was warm jello for a long time. The final product? Priceless and a great time for all who participated in any way. We had classics, to be sure. 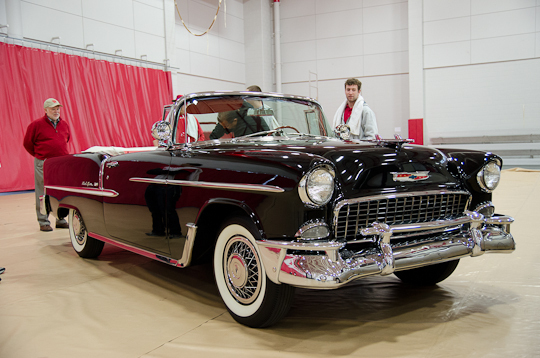 Below is a 1955 Chevy Bel Air convertible provided by General Motors. This car looks new inside and out. Look at the smiles on the faces of Brad Johnson ’71 (one of the event organizers) and the student. 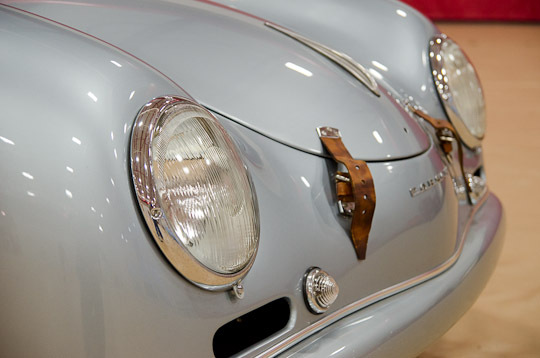 A timeless car. If you had one of these when I was in high school…you were DaMan! But we had vehicles that were used, and used hard every day. Check out Chris Bryan’s Willys. He uses it off road, as you can tell. 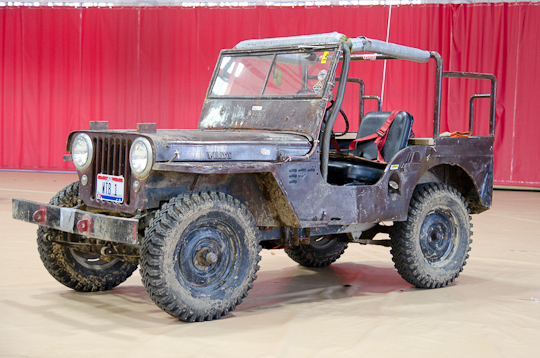 The Willys was designed in WWII to last about 10 days – that was their typical lifespan. This one is only 65 YEARS old. It was a great day topped of by a keynote from good friend, and Vice President and Treasurer of General Motors, Jim Davlin ’85. Jim told the group of the forward looking product development going on at GM. He also cited the many major accomplishments of liberal arts graduates in the American automotive industry. It was a great day!!! For a photo album, click here. I have no clue what this thing is called but the student mastered it, for sure. The best parts of the other night was to see the Sphinx Club pledges in action. They are obviously a great group and they are having a boatload of fun. 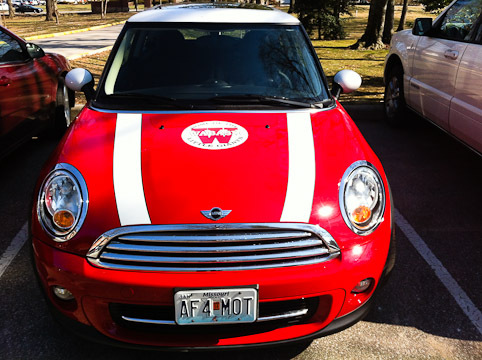 Jim Dyer ’83 bought his lovely bride a new car… a Mini Cooper. It’s exactly what she wanted. Jim even offered to pick out the paint scheme for her….what a gentleman! As you can see, Susan’s car is “scarlet” and white. And, when Jim made the trip over to campus this week for the Top 10 Visit day, it even sported a few special add-ons. He should be on the payroll!!! 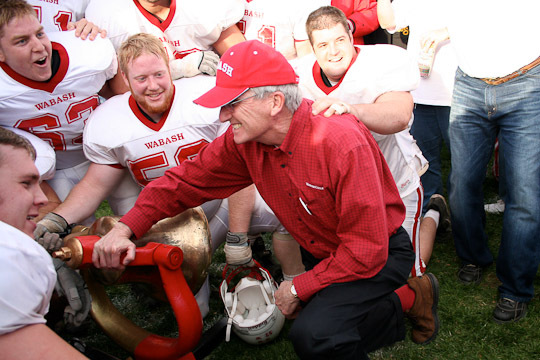 2005 - President Andy Ford with the Wabash team...and the Bell! Retired Wabash President Andy Ford H’03 is in the news. For the past few years, Andy’s played a role in advising the leadership at North Central College (NCC) in Naperville, IL. As current NCC president Harold Wilde prepares to retire after more than 20 years, Andy will play a key role in the transition. For the entire story on the change at NCC see this article. That’s Oliver…son of Jay Fisher’s (Class of 1966) daughter Carrie. Born 2/15/2012. That makes 2 members of that class born the same week. Do we get credit for alumni referrals? 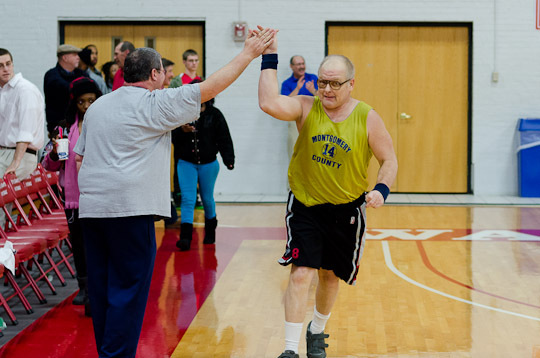 Montgomery County Special Olympians stole the show last night and that was tough to do considering Ohio Wesleyan beat the Little Giants by one point in double overtime. But they did…and the crowd gave them the Standing Ovation! 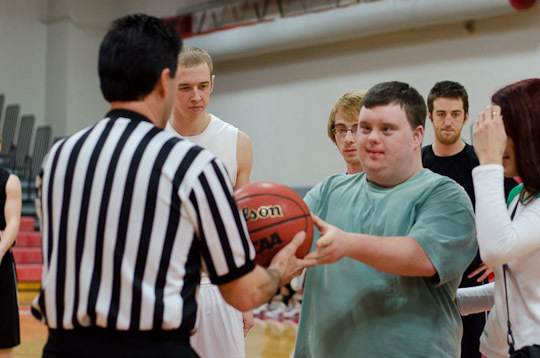 In the picture above, an Olympian delivered the game ball. It was a proud moment. Below, you can see another Olympian get a High 5 from his coach. Sports are, in a sense, a great equalizer. Regardless of your skill level, they are equally enjoyable. In the same vein, an all out effort, at any level, is sincerely appreciated by those with the opportunity to enjoy watching. It certainly was last night. I drove home smiling. 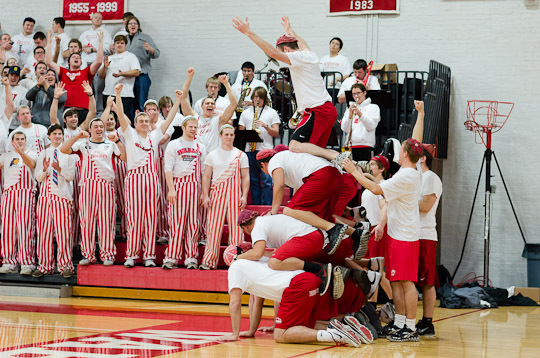 Don’t get me wrong – I hated to see us lose to OWU (they have a great team.) Our guys just came up one point short. But the smile came from something much bigger in the grand scheme of things. 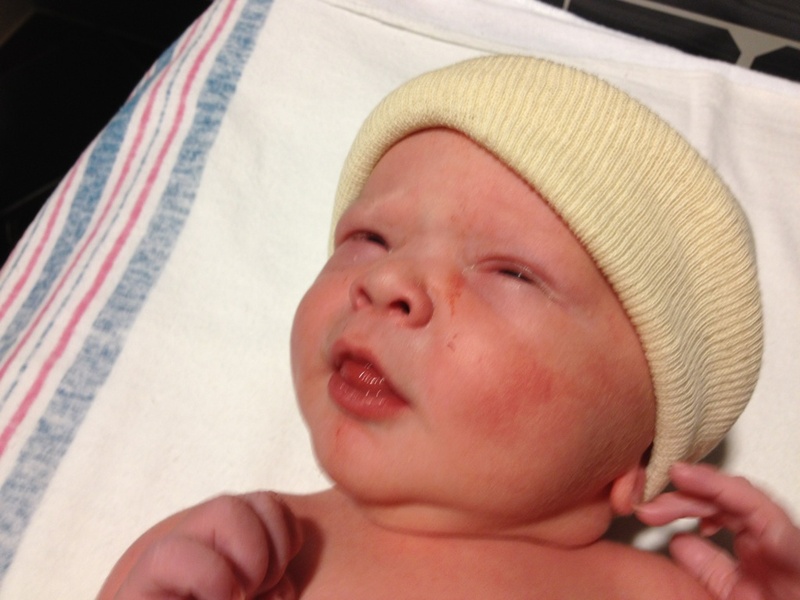 Last night my son Chris ’94 and his lovely wife Lisa added a new boy to the Runge clan – Becket Anthony Runge. 8 lbs., 10 oz. and 21 1/2 inches long. Born a big lad, the first thing he asked for was the keys to Dad’s Bimmer! Becket’s big brothers are beginning to talk colleges (oldest is 12!!!) but somehow I think Becket will be a Wabash man. Heck, all you need to do is look at his initials! 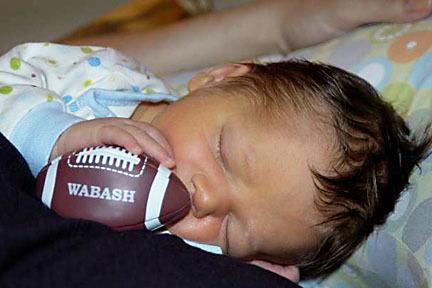 Wabash Football – Bright Future Ahead!! !